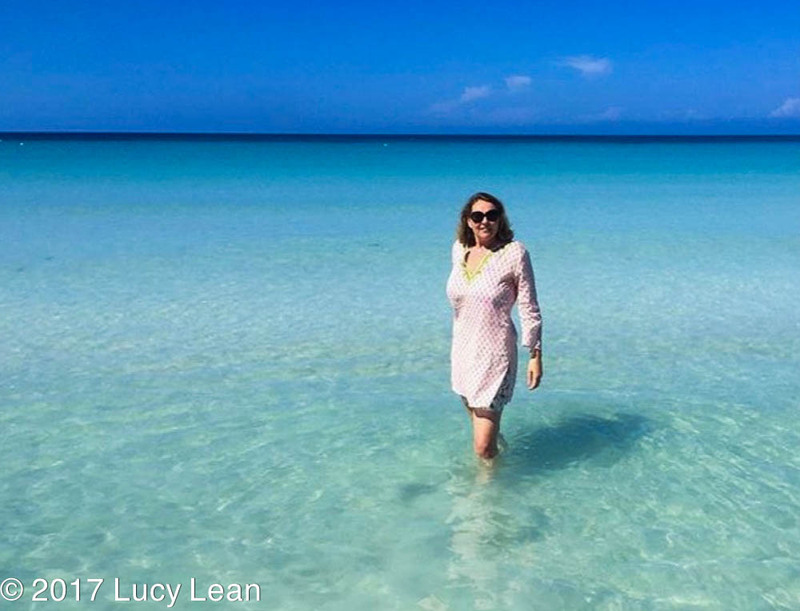 I recently got back from a heavenly trip to Jamaica with my girlfriends. As well as a much needed beach holiday filled belly laughs until tears streamed down our faces we ate so well. I was blown away by the food. 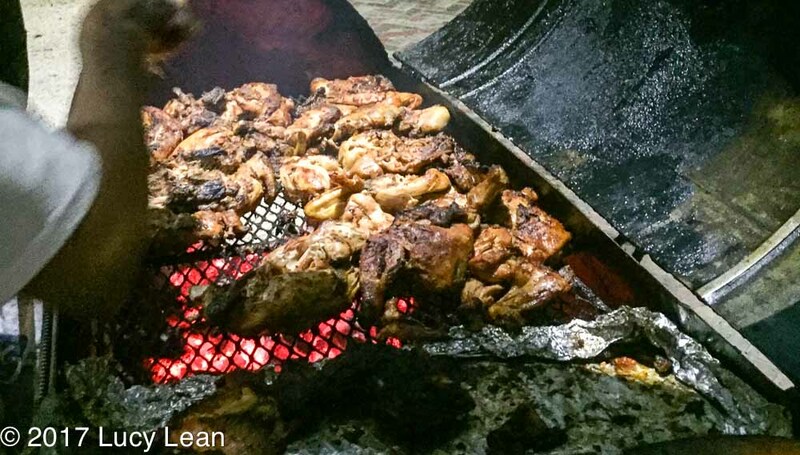 Our evenings were spent searching out the best jerk chicken – most often to be found at roadside shacks with plastic tables and chairs rather than the fancy hotels and resorts around town. 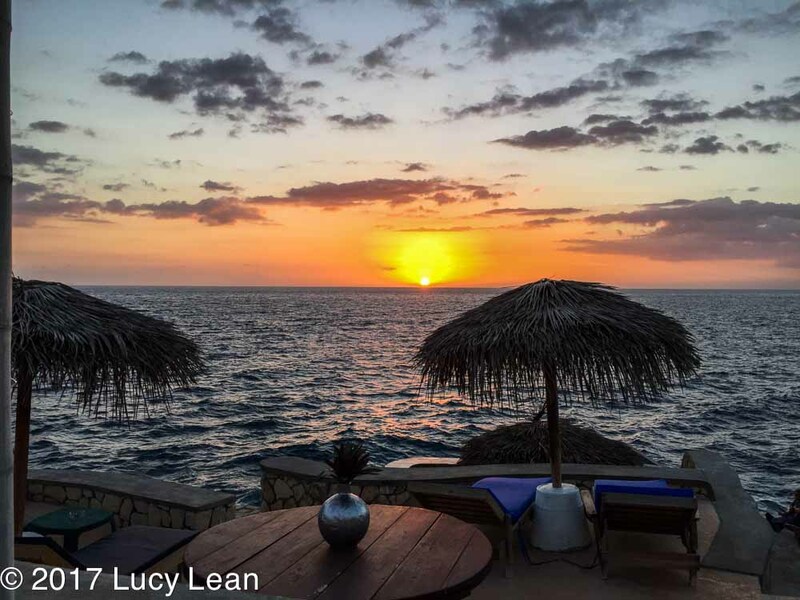 We loved Best of the West and Murphy’s (both in Negril). 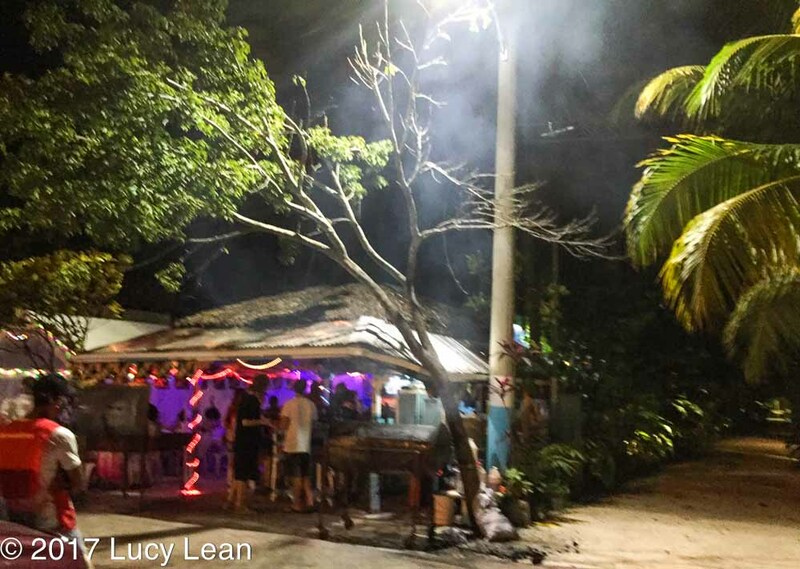 Beneath colorful stringed lights as reggae music beats rose above the laughter and conversation, we indulged in spicy juicy chicken doused in jerk sauce cooked off to one side on an open grill. Each cook/chef uses their own secret blend of herbs and spices with varying degrees of chile heat. 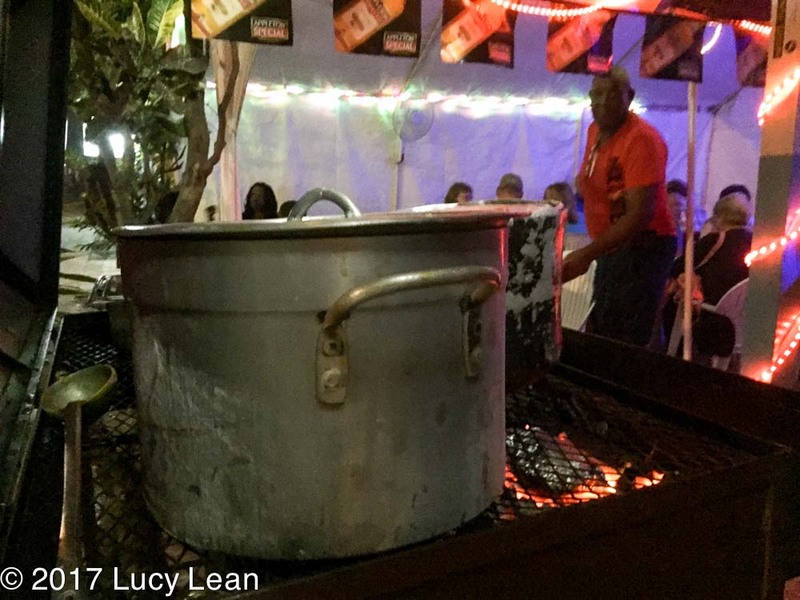 The traditional Jamaican diet is extremely healthy – eggs, ackee, greens and fresh bananas off the tree for breakfast and then possibly a light lunch but more often the next meal being an early supper at around 5 or 6 of jerk chicken or fish, callaloo (a chopped green leaf cooked with onions and garlic) and rice and peas (Jamaicans call beans peas). Science seems to be pointing more and more to not just what we eat but when we eat it and this early supper seems to leave a long time between dinner and breakfast, a good thing. The diet is rich in lean proteins and vegetables and given that Jamaica has produced the fastest man on the planet it’s a good lesson in eating lean, healthy clean food. 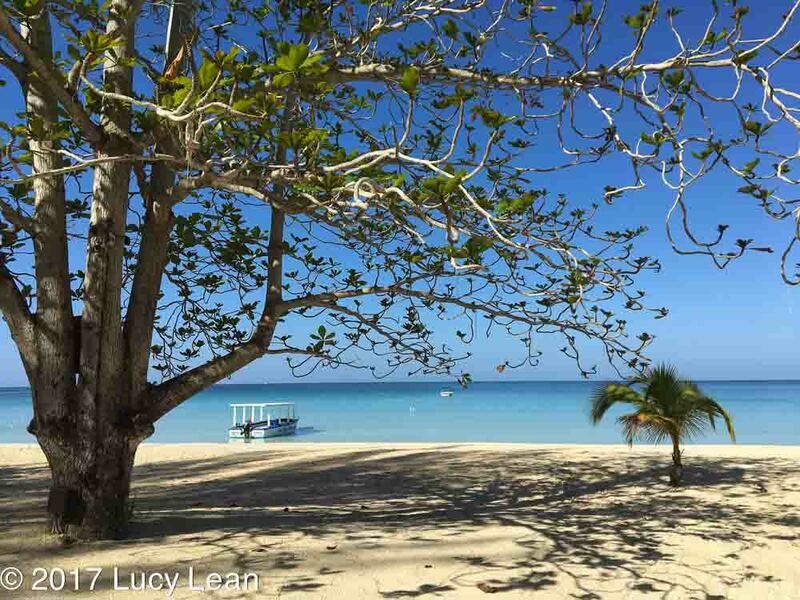 Sadly the white overweight tourists come in on the Catamaran cruises and want fries and burgers and pizza washed down by jugs of sweet rum punch. The Jamaican’s not only feed this demand but have also started to eat it this way too, which has resulted in a rise in heart disease, obesity and diabetes and the need to educate Jamaicans with dietary guidelines. The Jamaican Minister for Health said at the launch of the initiative for healthier eating practices that “low and middle-income countries like Jamaica are witnessing the fastest rise in overweight in young children.” A lesson to be learned is to go back to what the Jamaican used to cook before salty processed foods and sugary foods and drinks became the norm – authentic spicy jerk chicken grilled over a fire. Purée all the ingredients in a blender or food processor until smooth, sauce will keep for up to a week in the refrigerator. If sauce is too thick add a little water to obtain desired consistency. Reserve 1 cup of sauce for dipping. Rub the rest of the marinade on chicken breasts. Be extremely careful when handling the sauce, latex gloves can be warn to protect hands from heat from chiles. Cover and leave to marinate overnight in the refrigerator. The next day remove chicken from refrigerator and allow to warm up to room temperature for an hour before cooking. Fire up the gas grill on high for a few minutes and coat with a little oil to make a non-stick surface. Turn down the temperature to medium and place chicken on grill for about 8 minutes. Turn over and cook until inside temperature reaches 160 F, turning often to avoid burning. Remove from grill and let rest on a platter tented with foil for 10 minutes. Serve with reserved dipping sauce, a large green salad and Jamaican ‘rice and peas’ and make believe you are eating it on a cliff somewhere in the Caribbean as the sun sets.